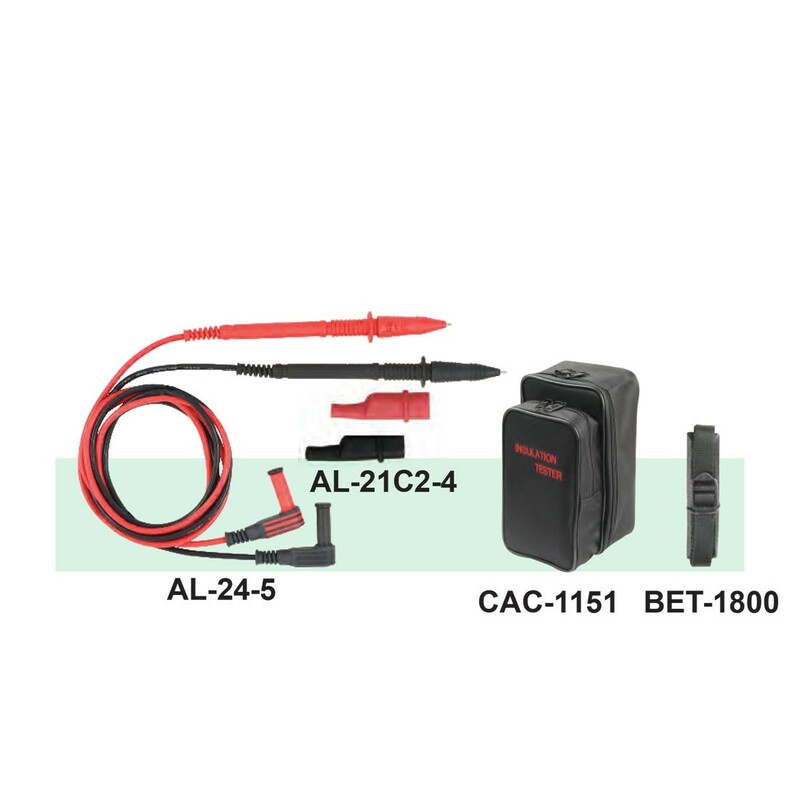 Automatic voltmeter AC/DC at Start/Reset. Battery test at Switch ON/Reset. 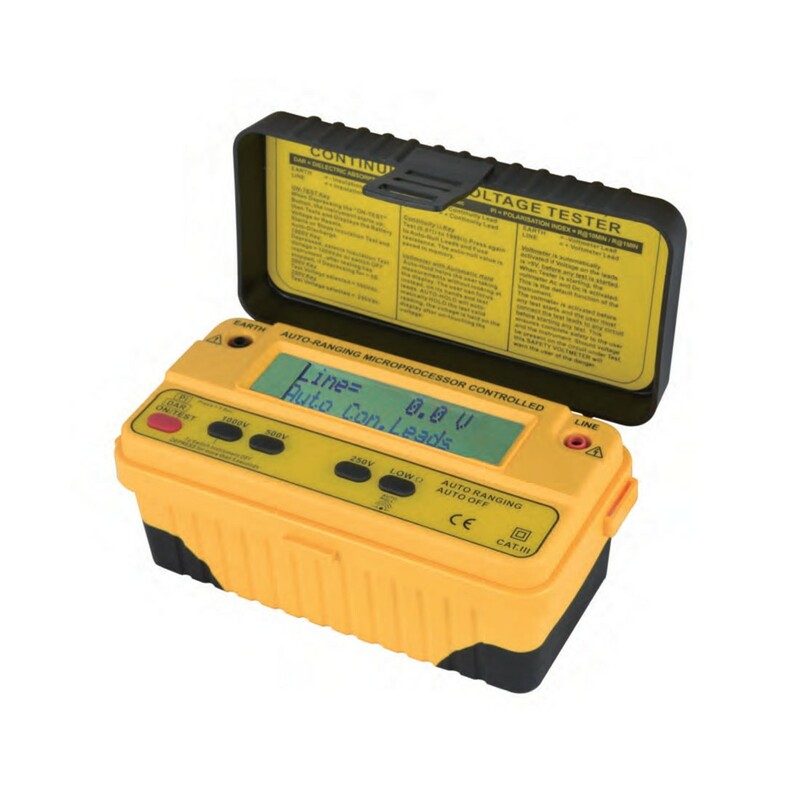 Safety voltmeter before each test. Auto discharge on all test and all ranges. 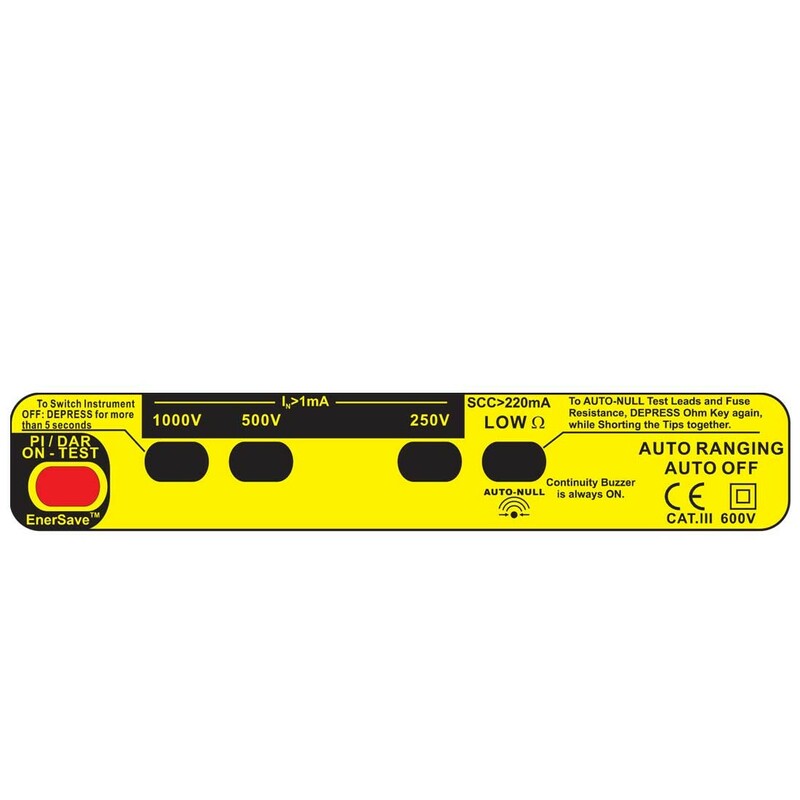 Smart hold & stop on voltmeter ac/dc. Ener-Save feature to extend battery life. Continuity short circuit current > 220mA. Continuity open circuit voltage of 5Vdc. Nominal voltage @ 1mA on all insulation ranges. Accept 8 rechargeable batteries or Alkaline of normal.